Republican Sen. Rob Schaaf has become outspoken against Gov. Eric Greitens' agenda. 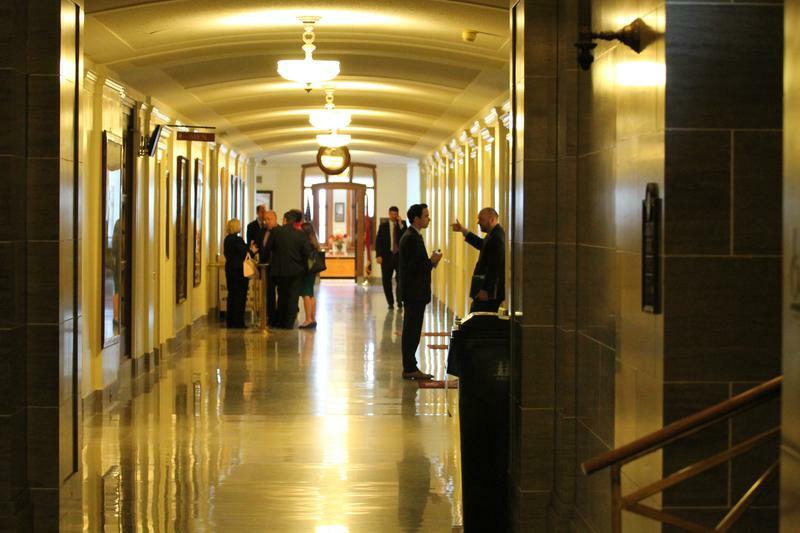 Listen to St. Louis Public Radio reporter Jason Rosenbaum's feature on Sen. Rob Schaaf. That “log” is A New Missouri, Inc., the newly created nonprofit led by Greitens’ loyalists and one of the reasons why Greitens and Schaaf are at odds — a conflict that could slow down the last few weeks of the legislative session. The schism also is bringing more attention to Schaaf’s penchant for slowing down and sometimes killing legislation. His admirers say he’s fighting key principles. Others believe he’s making things needlessly personal. But Schaaf is unconcerned what people think about him or his tactics. The conflict between Schaaf and Greitens is multifaceted. Some of the angst stems from Schaaf’s opposition to expanding managed care in the state’s Medicaid program. That would place a private company, like Centene, in charge of handling health care services for the poor, pregnant women and children. Schaaf has long opposed this idea, contending it wouldn’t make health care less expensive or more efficient. 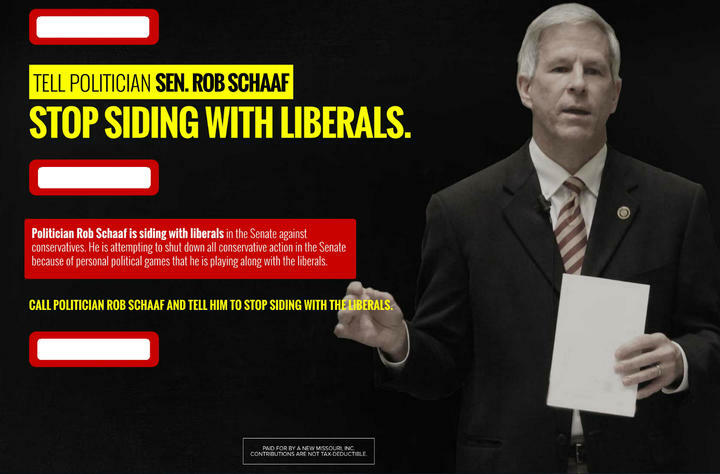 A screenshot of the A New Missouri attack ad against Sen. Rob Schaaf, which has been altered to hide the St. Joseph Republican's cellphone number. But the higher-profile fight is over A New Missouri, a 501(c)(4) that doesn’t have to reveal its contributors. Schaaf is sponsoring a bill (unlikely to go anywhere) that would require nonprofits to reveal donors. A New Missouri makes it seem like Greitens has something hide, Schaaf said, and it would help Greitens’ political prospects to get rid of it. Such nonprofits are not unusual around the country, and governors in Michigan, Illinois, Massachusetts and Georgia have their own. The nonprofit’s staff includes a number of people who worked on Greitens’ gubernatorial campaign, such as senior advisor Austin Chambers. And Greitens’ largely echoed the group’s messaging Monday, including the contention that Schaaf is blocking the governor’s key priorities. 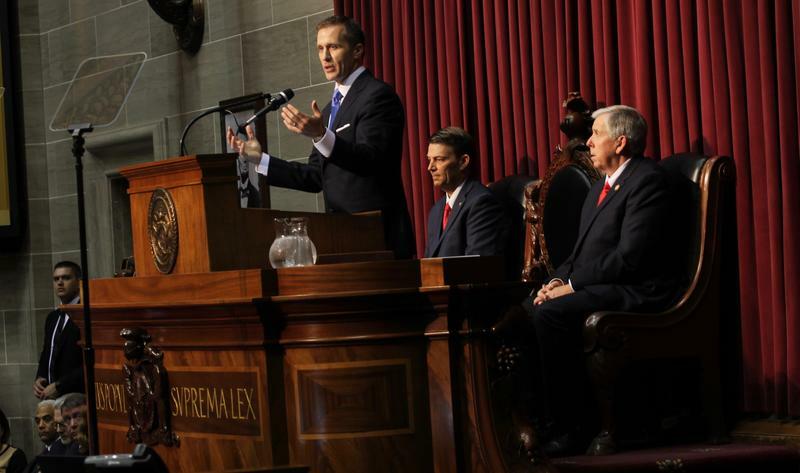 “I think it’s important always for the legislature to hear from the people about things that are essential to them,” Greitens said. But Schaaf and Greitens share common ground on a number of issues, including opposition to Medicaid expansion and distaste for publicly funding stadiums. Schaaf’s chief of staff, Jim Lembke, even was an early supporter of Greitens’ gubernatorial bid. State Rep. Justin Alferman has been critical of Schaaf's legislative tactics. Yet Schaaf isn’t exactly afraid of clashing with anyone in his party, including Senate leaders with a lot of sway. And he’s battled House Republicans on key issues, like creating a prescription drug monitoring program. Schaaf’s aggressive posture irks some legislators, like state Rep. Justin Alferman. Others, like former House Speaker Rod Jetton, say Schaaf’s penchant for conflict is a sign of his conviction. Schaaf dissolved his campaign account years ago. He’s sworn off running for other offices. Combine that with his ability to filibuster legislation, and Schaaf believes he might have an an advantage in dealing with Greitens and the nonprofit. Some of Schaaf’s colleagues predict the skirmish will pass — especially since lawmakers need to pass a budget by May 5. Schaaf is done as a senator after the 2018 legislative session, giving him a finite amount of time to make his legislative mark, but plenty of opportunities to make Greitens’ life harder. Updated at 6:55 p.m. with more details — In an unexpected move, state Sen. 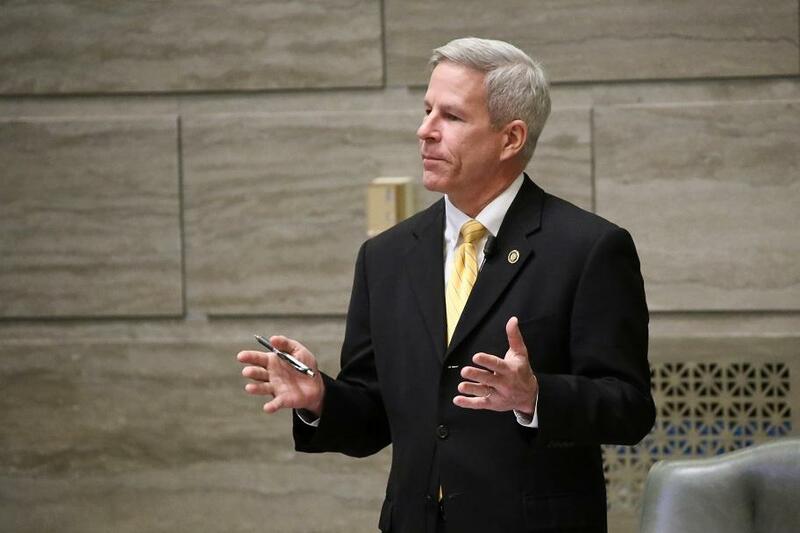 Rob Schaaf said Tuesday night that he now backs the House version of a prescription drug monitoring program, putting Missouri on track to become the last state in the nation to establish such a program. 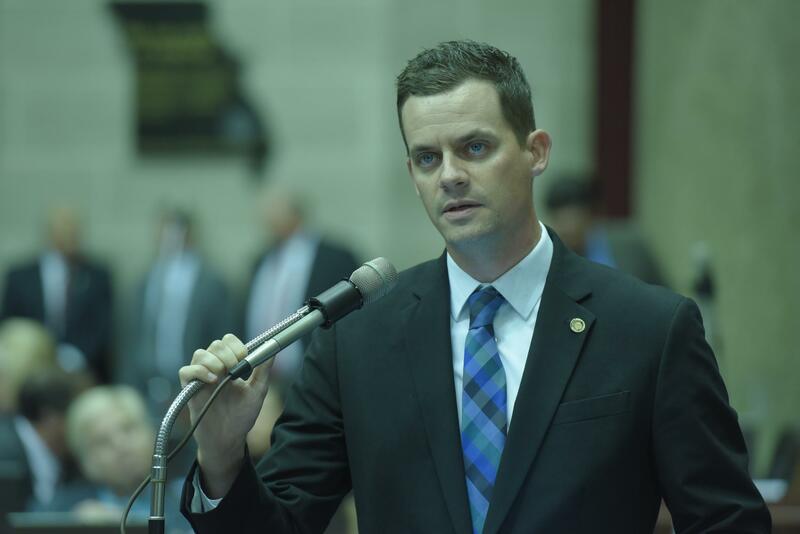 The Republican from St. Joseph, who had opposed the House bill due to privacy concerns, said at a news conference that he changed his mind due to overwhelming support from medical professionals and from Gov. Eric Greitens.